TigerDirect has the D-Link Wireless N 8-Port Router Sale DIR-632 on sale for only $34.99 with free shipping. This unit sells for $10-$20 more elsewhere. It supports up to 300 megabits per second with Wireless N technology, far faster than almost any Internet connection. Extended range and 8 10/100 Ethernet ports are a plus at this price. Some online buyers report only a 15- to 18-month lifespan, but we have been using a D-Link router for over 3 years. 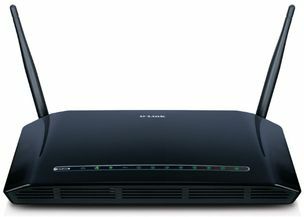 Make sure you update it to the latest software; it also runs the popular DD-WRT firmware.